Ramekins Are Used For Containing Salsas, Dips, Butter And More. Ramekins are made with ceramic and indestructible melamine for long lasting durability. 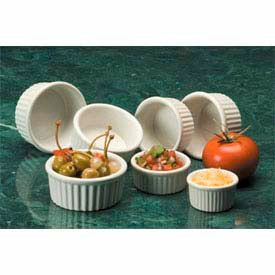 Versatile ramekins hold 1 ounce to 6 ounces of contents. Styles available are Smooth, Fluted and Ribbed Sides. Colors are Black and White. 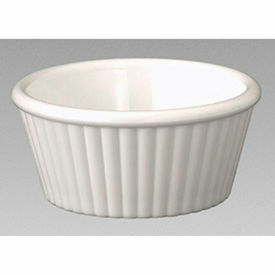 Ramekins Are Designed For Individual Servings Of Sauces, Butter, Salad Dressings And Condiments. Ramekins are made of break-resistant SAN, melamine, or stainless steel for long lasting durability and reliability. Stacking design provides easy storage and portability. BPA-free for added safety and protection. Dishwasher-safe for enhanced versatility. Simple to clean. Available capacities range between 1 and 56 ounces. Package quantities are 24, 48, 72, and 144. Dimensions and colors vary per model. 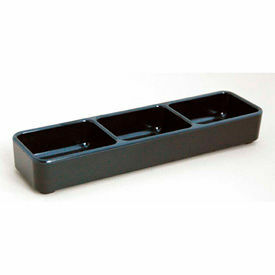 Carlisle Cash 'N Carry Servingware Is Popular For Use At Buffet Lines, Salad Bars Or In Cafes And Diners. Foodservice Tableware is made of durable materials to withstand tough use by customers and wait staff. Variety of food serving items available including Cups, Bowls, Plates, Ramekins, and Pitchers to stock buffet lines and salad bars. Other essential food service pieces available are Heat Lamp, Check Holder/Tip Tray and Sugar Caddy. All servingware sold in case quantities for cost savings. "Ramekins Are Attractive Options For Serving Condiments, Sauces, Small Salads And Sides In Diners And Restaurants. 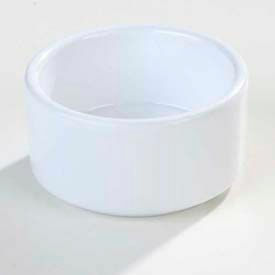 Ramekins are constructed of glass, melamine or SAN for lightweight, tough foodservice use. Dishwasher-safe design is stackable for simple and efficient table storage and long lasting use. Available capacities are 1, 1.5, 1.75, 2, 2.25, 3, 4 and 6 ounces. Package quantities are 36, 48, 72 and 144. Dimensions and colors vary per model. 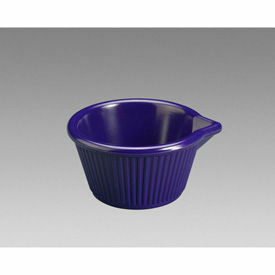 Fluted Ramekins Provide Reduced Chipping And Breakage To Lower Replacement Costs For Long-Term Foodservice Investments. Fluted Ramekins feature a dishwasher-safe design that is stackable for simple and efficient table storage. 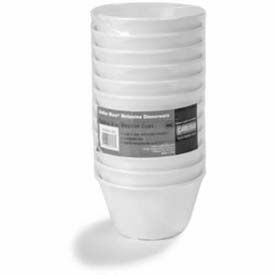 Durable melamine or SAN construction for lasting use. Available capacities are 1, 1.5, 2, 3, 4, and 4.5 ounces. Package quantities are 48 and 72. Dimensions and colors vary per model. 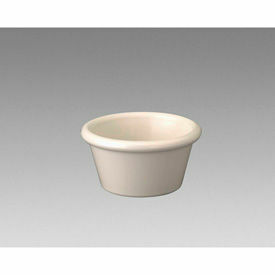 Spouted Ramekins Are Designed For Easily Pouring Contents To Minimize Spillage And Waste In Foodservice Applications. Spouted Ramekins feature durable melamine construction for lasting use and dependability. Reduced chipping and breakage lowers replacement costs for long-term investments. Dishwasher-safe design is stackable for simple and efficient table storage. Available capacities are 3 and 4 ounces. Colors are Berry Blue, Bone, Cobalt Blue, Kiwi Green, Mango-Orange, Pineapple-Yellow, and Red. Package quantity is 36. Dimensions vary per model. 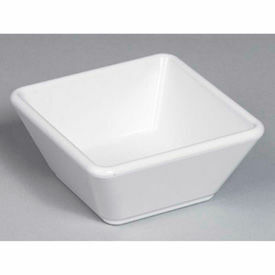 Square Ramekins Feature A Unique Shape With The Look Of Ceramic To Complement A Variety Of Table Settings. Square Ramekins feature durable melamine construction for lasting use and dependability. Square design allows for easily pouring contents to minimize spillage and waste in foodservice applications. Reduced chipping and breakage lowers replacement costs for long-term investments. Dishwasher-safe design is stackable for simple and efficient table storage. Available capacities are 2 and 3 ounces. Colors are Black, Bone, and White. Package quantities are 24 and 36. Dimensions vary per model. Gessner® Servers Feature Multiple Compartments For Serving A Variety Of Sauces, Dressings, Condiments And Other Foodservice Items. Gessner® Servers are constructed of durable melamine for reduced chipping and breakage that lowers replacement costs for long-term investments and lasting use. Custom-molded design replicates the look of ceramic for stylish table service. Dishwasher-safe for versatility. Available colors are Black and White. Package quantity is 36. Dimensions vary per model.